She told me to bring five carrots for all the snow girls but only one ended up being used. We had planned to bring grape vines from the city but like so many other things, stuff from the city never comes with us to the woods. Which is probably a good thing as we don't want grape vine to invade the area. 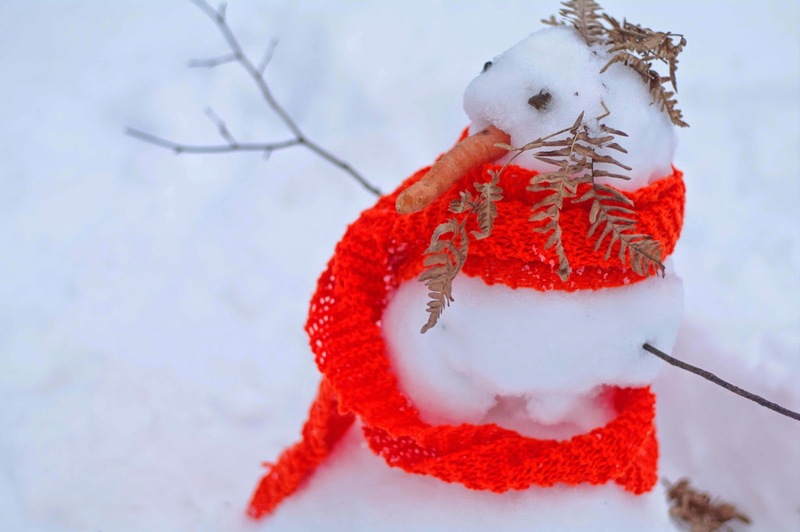 The snow girl got one of our bright orange scarves that we wear around hunting season and some curly foliage popping up here and there in the snow. I think this little lady sweet!